Nice as pie! These are easy to make and totally delicious. A little piece of caramel heaven! Preheat oven to 180 C / 160C fan-forced. Cut 4 x 15cm rounds to fit 4 x 12cm round pie dishes. In a medium bowl, toss the apples with the butter, sugar, and cinnamon. 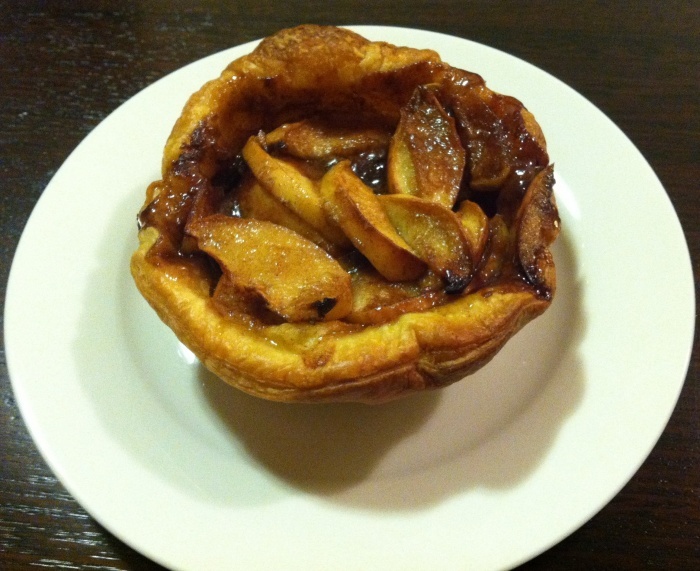 Arrange the apples on top of the pastry and bake for about 30 minutes or until the apples are soft and caramelised. Serve warm with vanilla ice-cream or cream.